THE 2019-20 EDITION IS NOW BEING PRINTED AND WILL BE AVAILABLE AROUND THE THIRD WEEK OF MAY. IT MAY BE ORDERED NOW FROM THIS SITE. Capital allowances offer valuable tax relief, that can easily be lost where the rules are not correctly applied - especially since the amended rules for fixtures came fully into effect from April 2014. 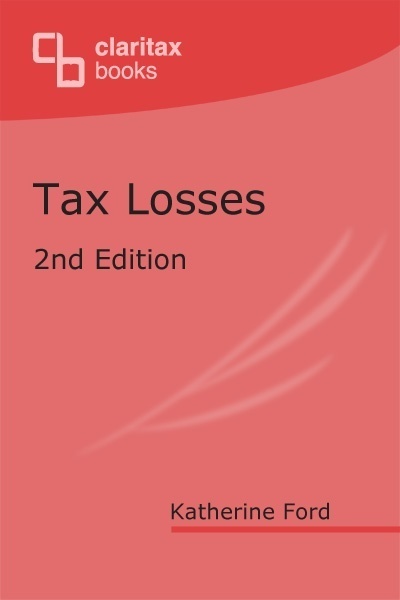 Use this book to avoid costly errors, and to maximise tax relief, thereby protecting the interests of all businesses and commercial property owners. 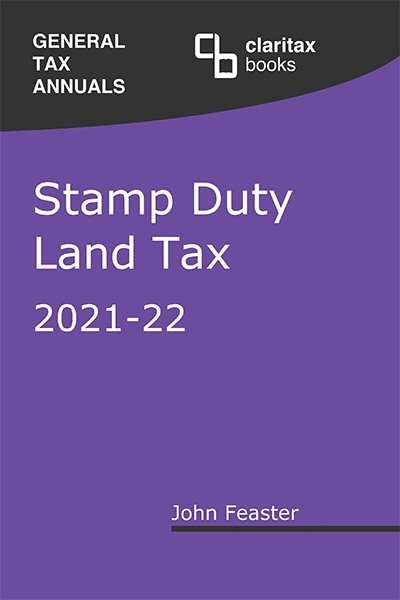 Detailed and practical guidance on key topics: cars, fixtures in property, annual investment allowances, special rate expenditure, short-life assets, etc. 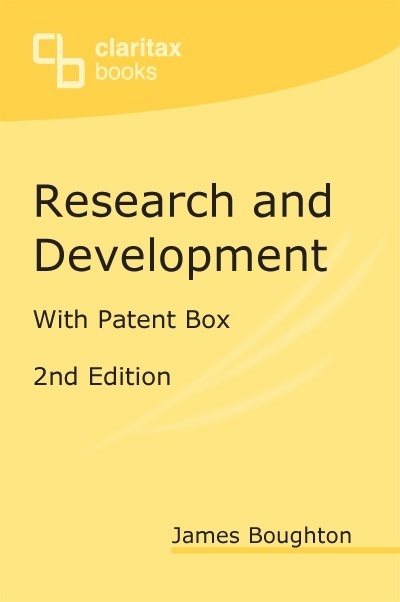 Other allowances, including those for capital expenditure on R&D and the new structures and buildings allowance, are also covered in depth. 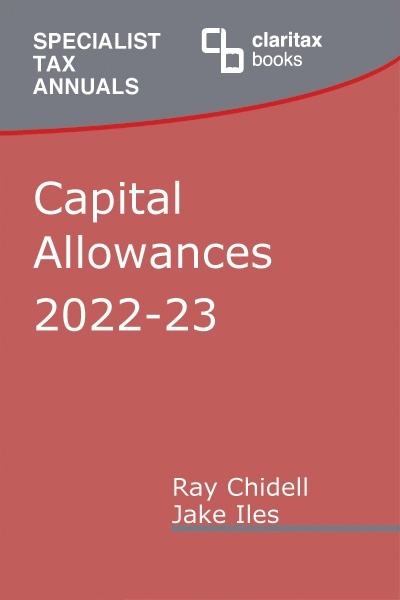 The book is the most technical of the three books we publish on capital allowances, and is primarily suitable for accountants and others who need a fully technical guide. 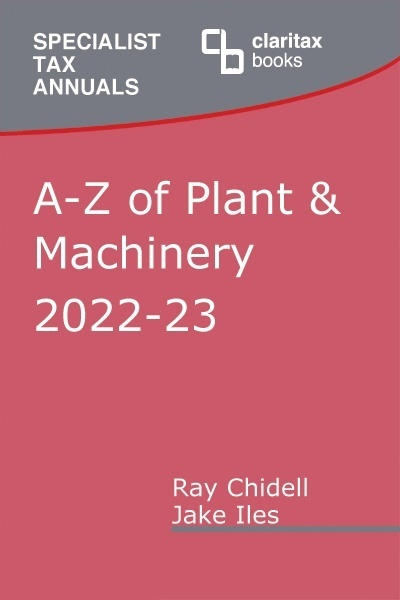 This book complements our A-Z of Plant & Machinery, and the two may be bought together as a discounted bundle - see top of page. 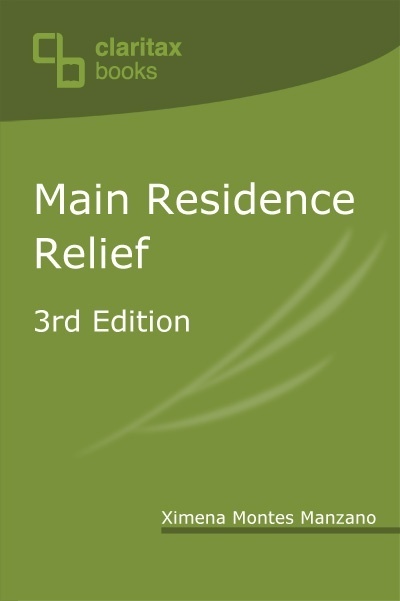 Together, the two books offer more than 1,000 pages of practical and clearly written commentary, arranged in a user-friendly and accessible format. all examples and commentary updated as necessary.